Karl is an Outpatients Physiotherapist in our South Brisbane clinic, and also provides care for hospital inpatients in the areas of neurology, orthopaedics and intensive care. Karl has a keen interest in the care of patients with neurological conditions such as stroke, Parkinson’s Disease, Multiple Sclerosis and other neurodegenerative conditions, Functional Neurological Disorders, as well as in services for patients recovering from orthopaedic surgery and musculoskeletal injuries. Karl is proud to be part of the specialised multidisciplinary team at the Mater Neurosciences Functional Neurological Disorders clinic, which also travels nationally providing education for health professionals. 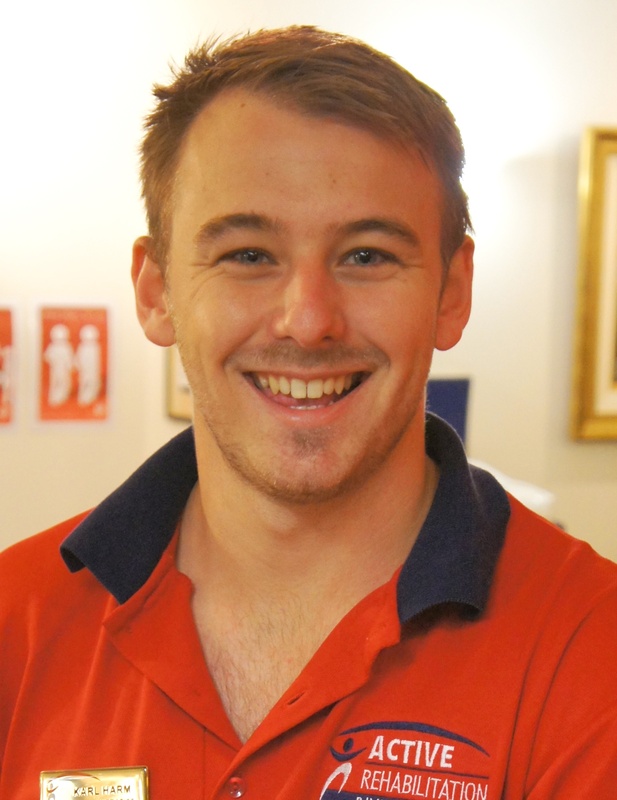 Karl holds a Bachelor of Physiotherapy (Honours) from the University of Queensland. During the course of his physiotherapy study, he led a research project looking at the effects of hip pain during functional tasks. Continuing his involvement with research, Karl is a part of our team undertaking Active Rehabilitation Research Foundation’s study into the use of photobiomodulation therapy for patients with Parkinson’s Disease. In his spare time, Karl aims to stay fit and healthy and enjoys playing football, rugby union and touch football with friends.